Child Sized Sofa - Purchase ideal furniture for your child! Your kids will enjoy their own sized furniture. 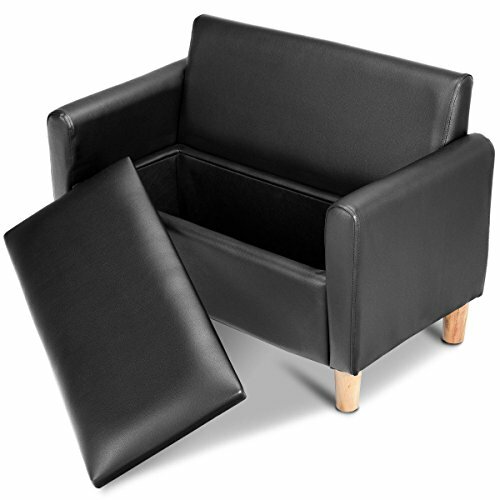 Add a comfortable furniture to any room to create a special place for reading, watching TV or just relaxing. The sofa is big enough for 1-2 kids, and can be a little bed for one kid. Lightweight & Space-Saving - The lightweight and compact design for easy handling and movement. Your kids can move their own furniture to any ideal place without much efforts, which cultivates their manipulative ability. Ideal Gift - This adorable sofa is a PERFECT present to your toddlers. It will be a great addition to their play room, bedroom, living room, day care, sleepovers at grandma and grandpa's, vacations, or nap time. It offers your child a wonderful seat, which can relieve neck pressure and stretch shoulder muscle. Perfect size for your growing toddler.